Baltimore Carolina Cleveland LA Chargers and Miami. Dallas in navy at Panthers. They have a chance to right their wrong. I'll update the Panthers from last night as soon as imgur fixes their issues and I can upload the new combo. I'd be pretty shocked to see either the Bucs or the Saints wear their metallic-colored pants in the opener. It's most likely gonna be white on white vs black on black like every other time. Hope I'm wrong. And the Rams have only worn navy pants on the road with this new set in the regular season. Really liking that Jets Lions matchup. Such nice colors and such a good balance with the Jets in green pants. My guesses are Rams in white/navy, Saints vs Jets will be black/black vs white/white and the Jags might possibly go white/white. What are the chances the Patriots wear white for their opener at Gillette against Houston? At this time of the year it's warm. Saints wore their gold pants in the home opener last year. They usually don't break out the black pants until Week 2 or 3. Could be wrong this year, though. I am also thinking Ravens will wear white/black for their home opener. But I would ecstatic if they wear white jersey with their purple color rush pants. That would be a better combo. They wore all black vs New England Week 2. Opener was at Minnesota. But they usually wore gold pants in the opener when it was with the white jersey so it's possible. 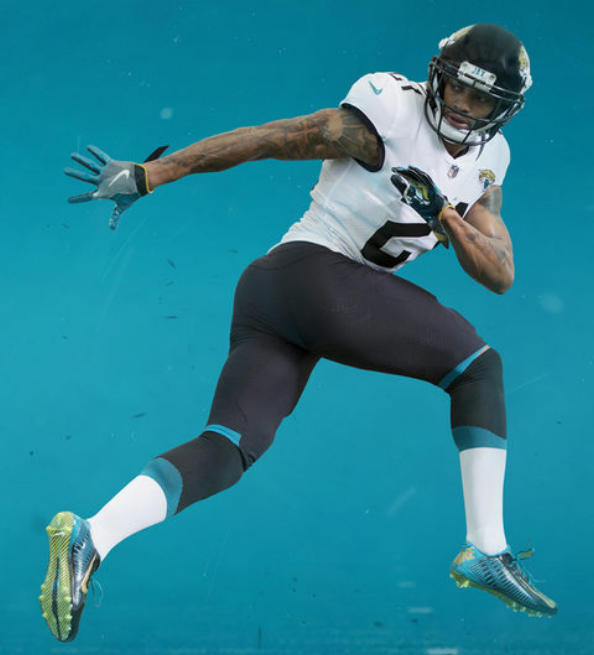 Its a bloody shame that the Jaguars are going to debut their new uniforms with those gawd awful black-upper socks to go with their new black pants. Should have made Nike use all teal in the upper sock area. Very puzzling that so many NFL teams are going with this leotard look. At least the Bears, Redskins, and J-E-T-S are of the few that have got it right. Shouldnt all the jerseys be #18 now? 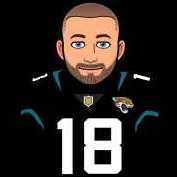 My guess is Jags go with the white pants. I’ll probably get roasted for this, but I think after seeing all three jerseys, the black jerseys are the best of the bunch. The white pants only look ok with the teal jerseys. The black topped socks are because the stripes on the back of the pants is suppose to connect. It's their stupid way of making it a teal-black-teal look without actually having socks that do so. The problem with this is the design element doesn't work with the white and teal pants because the bottom stripe is black. Basically what it comes down to is that the Jaguars HAVE to wear black pants for the uniform to "make sense" and it's stupid. So the Giants' stupid white pants at home are permanent? What a shame.
. And the Rams have only worn navy pants on the road with this new set in the regular season. From what I saw on here and the Rams' website a few weeks ago, they are going with the white pants all the time with the white jersey, either home or road. A lot of good looking matchups in Week 1. 49ers vs Vikings is the early lock for most pleasing to look at. The white pants and white jerseys need teal stripes. The black pants will look better with all three jerseys.